Managing your resources is critical to the success of your business. Unfortunately, IT can be finicky, often creating unplanned expenses while also affecting the efficiency of your workforce whenever your network goes down, a computer fails, or even worse, you suffer significant data loss. That’s where the benefit of outsourcing your IT and utilizing our managed IT services comes into play. It’s simple really. Instead of being reactive to your technology failures, our IT Services take the proactive approach. We watch multiple aspects of everything that makes up your IT Infrastructure (servers, computers, network etc..) and prevent the failures before they occur. How else does this benefit you? When you outsource your IT to us, everything is handled at a flat-rate fee with no surprise cost. For instance, if we ever run into a situation that can’t be handled remotely, we can dispatch a technician to your place of business to remedy the situation, and you don’t pay a cent more. Or if you need a hardware upgrade, we can supply hardware to you and install it at no additional fees. You also benefit from the fact that your whole team gains the ability to contact our help desk, whenever they need support. Why choose Alpha Computer Group? Most other IT Outsourcing Provider incorporate a break/fix nature, meaning they benefit whenever your hardware or network fails. We’re exactly the opposite! We only benefit when you don’t have problems, so it’s our primary goal to keep you up and running! This creates a partnership that allows us to grow together. How much will it cost to outsource your IT to Alpha Computer Group? Our Managed IT Services are scalable to fit your business needs and typically cost less than hiring a full time technician. We provide free, no obligation assessments in order to determine what would work best for you, in order to maximize your ROI. Check out some of our IT services from the links below, or ask us for an assessment. Fiscally practical IT management services and computer network maintenance for companies throughout New York, NYC, Long Island and surrounding areas. Modern IT Services – New York, NYC, Long Island, NY, Nassau County, Suffolk County Is maintaining your business technology costing you an arm and a leg? If dealing with the unforeseen cost of technology has become too much to handle, IT Support from Alpha Computer Group is the solution. Managed IT Service Provider NYC | Tech Support New York Alpha Computer Group offers proactive IT Support and IT Management allowing your company in the New York, Five Boroughs, NYC Metro Area or Long Island the ability to budget for technology with ease and consistency. With Managed IT Services from Alpha Computer Group you can achieve your goals with the ability to: ◦Become more productive – with IT support that ensures a smooth operation ◦Secure your business focus – as we assume your technology worries ◦Eliminate budgeting inconsistencies – with an all-inclusive fixed monthly rate ◦Keep your assets safe and secure – we make sure your data and network are secure Our Managed Services provides you with a fixed monthly IT expense, so you can depend on both your technology and a predictable budget without costly surprises. Get Your Personalized Network Audit Today! Alpha Computer Group has the solution to help you achieve your goals, with technology that pays for itself. Our service team can customize your IT Management and computer network maintenance with a solution that’s predictable and affordable. Whether your business is in need of IT support consulting, computer network infrastructure management service, remote and on-site IT support, technology consulting, network and server support, computer network installation, wireless networking, or computer network installation, we’ve got the solution. Our professional staff understands that your company has unique IT support and business needs. Knowing your company is in expert hands with our 24×7 computer network maintenance, you can watch your business success unfold. With a breadth of IT services, multiple locations throughout, and a knowledgeable staff, Alpha Computer Group is able to support our customers on a national level. Alpha Computer Group provides a niche service for small and medium size businesses requiring managed IT service and support. In addition, our data center and online backup services bring highly secured managed services to our customers throughout the United States, providing business continuance for companies requiring 24/7 uptime. We have leveraged our more than 10 years of industry experience to gain many valuable certifications with leading manufacturers of technology hardware and software. Over the years, we’ve come to learn that outsourced IT support isn’t just a matter of hiring talented IT consultants and sending them out to work with clients. A “one-man show” or “Time-share IT” approach simply doesn’t work. Even simple IT environments for small businesses are too complex to be met by the skills of any one person. Businesses need a full IT department with specific roles and responsibilities that uses the latest tools to monitor and maintain systems. Quality outsourced IT support means stability, security, and scalability. It means that business managers can focus on growing their businesses, not maintaining servers or recovering from interruptions. Information Technology (IT) is more than just a utility; it’s a way of building business efficiencies and advantages. Companies with outsourced IT support should expect more from their vendors than simple dependability. They should expect innovation. MANAGED IT SERVICES IN Manhattan | New York City Consulting Alpha Computer Group provides the New York region with computer networking and IT consulting services. Our NY consultants provide responsive on-site technical support to the NYC area businesses, from Manhattan, Brooklyn, Queens, Bronx and Long Island. Outsourced IT Services in New York Our Managed Services focus is to keep your systems operational and available so that you can focus your efforts on the demands of growing your business, managing costs and increasing revenues. With our Managed IT Services, we provide your business with our highest level of support consisting of a flat fee annual support agreement. Our plans offer complete maintenance and Network Monitoring of your existing IT infrastructure and technical support for all of your staff. We optionally offer project hours for improvements to the IT infrastructure. Our most comprehensive plan includes Virtual CIO services. Why is Outsourced IT More Cost Effective? With a long-term, flat-fee structure we are no longer concerned about time because we are motivated to make your environment as stable as possible over the long-term. Second, it offers a very predictable cost structure. Finally, there is a built-in IT strategy element which ensures you are getting the most out of your IT dollars. In today’s economic climate, companies are focusing on the inefficiency of their small in-house IT departments, which are usually under-utilized and poorly managed. We have the expertise and cutting edge tools to manage your IT department professionally and at a lower cost so that you can focus on your business. With IT outsourcing, you get better support, lower IT costs, improved reliability, and more productivity from your employees. This total care package features a 24/7 monitoring, analysis and escalation service based on alerts and early warning data received from our software. Typically we will receive from nine to twenty alerts per day, per server. We respond to them all, 24×7. We provide monitoring via SNMP for all network and hardware devices such as switches, routers, UPSs. Monitoring and managing backups, especially tape backups, are highly time-consuming tasks. Our monitoring system has an extensive module dedicated to reporting and monitoring backups from applications like VERITAS and BackupEXEC. Functions such as tracking failed and completed jobs, completing backups and producing reports on restorations are all included. We also offer online backup. Our system contains a detailed inventory management module that automatically scans a network and develops a comprehensive inventory of desktops and servers along with hardware and installed software. IT asset audits, license compliance and upgrades, are made easier with these reports. This module also features change tracking, hardware and software, between multiple asset scans that makes trouble-shooting simple. Our system has a built-in engine to scan networks for missing security patches which can then be automatically downloaded, packaged according to each machine’s configuration and delivered. As part of the patch management process, we have a security team in place that provides a whitelist/blacklist service for all Microsoft patches and updates. 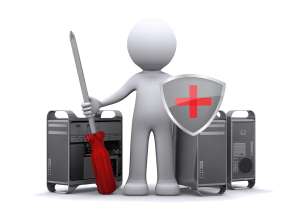 Our system comes bundled with a comprehensive engine that runs seamlessly and automatically in the background daily to protect desktops against malware, spyware and worms. If a machine is compromised, we will remediate. We service the following areas of New York: Nassau County, Suffolk County, Long Island, Queens, Brooklyn, Bronx, Manhattan, and all of the NYC 5 boroughs. Nassau County, Long Island, NY: Glen Cove, Long Beach, Town of Hempstead, Town of North Hempstead, Town of Oyster Bay, Atlantic Beach, Bellerose, Cedarhurst, East Rockaway, Floral Park, Freeport, Garden City, Hempstead, Hewlett Bay Park, Hewlett Harbor, Hewlett Neck, Island Park, Lawrence, Lynbrook, Malverne, Rockville Centre, South Floral Park, Stewart Manor, Valley Stream, Woodsburgh, Baldwin, Barnum Island, Bay Park, Bellerose Terrace, Bellmore, East Atlantic Beach, East Meadow, Elmont, Franklin Square, Garden City South, Harbor Isle, Hewlett, Inwood, Levittown, Lido Beach, Merrick, North Bellmore, North Merrick, North Valley Stream, Oceanside, Point Lookout, Roosevelt, Salisbury, Seaford, South Hempstead, South Valley Stream, Uniondale, Wantagh, West Hempstead, Woodmere, North Woodmere, Baldwin Harbor, East Garden City, Lakeview, Malverne Park Oaks, North Lynbrook, North Wantagh, Baxter Estates, East Hills, East Williston, Flower Hill, Great Neck, Great Neck Estates, Great Neck Plaza, Kensington, Kings Point, Lake Success, Manorhaven, Mineola, Munsey Park, New Hyde Park, North Hills, Old Westbury, Plandome, Plandome Heights, Plandome Manor, Port Washington North, Roslyn, Roslyn Estates, Roslyn Harbor, Russell Gardens, Saddle Rock, Sands Point, Thomaston, Westbury, Williston Park, Albertson, Carle Place, Garden City Park, Great Neck Gardens, Greenvale, Harbor Hills, Herricks, Lakeville Estates, Manhasset, Manhasset Hills, New Cassel, North New Hyde Park, Port Washington, Roslyn Heights, Saddle Rock Estates, Searingtown, University Gardens, Bayville, Brookville, Centre Island, Cove Neck, Farmingdale, Lattingtown, Laurel Hollow, Massapequa Park, Matinecock, Mill Neck, Muttontown, Old Brookville, Oyster Bay Cove, Sea Cliff, Upper Brookville, Bethpage, East Massapequa, East Norwich, Glen Head, Glenwood Landing, Hicksville, Jericho, Locust Valley, Massapequa, North Massapequa, Old Bethpage, Oyster Bay, Plainedge, Plainview, South Farmingdale, Syosset, and Woodbury. Queens, NY, NYC: Northwestern Queens , Astoria, Astoria Heights, Ditmars, Little Egypt, Corona, LeFrak City (housing development), North Corona, East Elmhurst, Elmhurst, Forest Hills, Forest Hills Gardens, Fresh Pond, Glendale, Hunters Point, Jackson Heights, Long Island City, Blissville, Dutch Kills, Queensbridge (housing development), Ravenswood (housing development), Queensview (housing development), Queensview West (housing development), Maspeth, Middle Village, Rego Park, Ridgewood, Wyckoff Heights, Sunnyside, Sunnyside Gardens, Woodside, Northeastern Queens , Auburndale, Bay Terrace, Bayside, Beechhurst, Bellerose, College Point, Douglaston, Flushing, Downtown Flushing, Electchester, Flushing Chinatown, Murray Hill, Queensboro Hill, Floral Park, Fresh Meadows, Fort Totten, Queens, Glen Oaks, North Shore Towers (housing development), Hillcrest, Kew Gardens Hills, Kew Gardens, Koreatown, Linden Hill, Little Neck, Malba, Oakland Gardens, Pomonok, Utopia, Whitestone, Willets Point, Southwestern Queens , City Line, Queens, Hamilton Beach, Howard Beach, Old Howard Beach, Howard Park, Ramblersville, Lindenwood (housing development), Rockwood Park, Ozone Park, Tudor Village, Richmond Hill, South Ozone Park, Woodhaven, Southeastern Queens , Bellaire, Briarwood, Cambria Heights, Hollis Hills, Hollis, Holliswood, Jamaica, Jamaica Center, Queens, Jamaica Estates, Jamaica Hills, Laurelton, Meadowmere, Queens Village, Rochdale (Cooperative Housing Development), Rosedale, Saint Albans, South Jamaica, Springfield Gardens, Warnerville, The Rockaways, Far Rockaway, Queens, Arverne, Bayswater, Belle Harbor, Breezy Point, Broad Channel, Edgemere, Far Rockaway, Hammels, Neponsit, Rockaway Beach, Rockaway Park, Roxbury, and Seaside. Bronx, NY, NYC: West Bronx, Northwest Bronx, Riverdale, Fieldston, South Riverdale, Spuyten Duyvil, Central Riverdale, North Riverdale, Kingsbridge, Kingsbridge Heights, Van Cortlandt Village, Marble Hill, Bainbridge, Norwood, Bedford Park, Fordham, Arthur Avenue, Belmont, University Heights, Southwest Bronx , Downtown Bronx, Yankee Stadium area, Courthouse, Concourse, Concourse Village, Highbridge, Hunts Point, Longwood, Melrose, Morris Heights, Morrisania, East Morrisania, Crotona Park East, Mott Haven, Port Morris, North New York, The Hub, Tremont, Mount Eden, Mount Hope, East Tremont, East Bronx , Northeast Bronx , Baychester, Bronxdale, Eastchester, Edenwald, Indian Village, Laconia, Olinville, Morris Park, Pelham Gardens, Pelham Parkway, Van Nest, Wakefield, Williamsbridge, Woodlawn, East Tremont, Southeast Bronx , Orchard Beach, Bronx River, Bruckner, Castle Hill, Clason Point, City Island, Co-op City, Country Club, Edgewater Park, Harding Park, Parkchester, Pelham Bay, Pelham Bay Park, Soundview, Schuylerville, Throggs Neck, Westchester Square, Throgs Neck, The Pelham Islands, The Blauzes, Chimney Sweeps Islands, City Island, Hart Island, High Island, Hunter Island, Rat Island, Twin Island, North Brother Island, South Brother Island, and Rikers Island. Suffolk County, Long Island, NY: Town of Babylon, Amityville, Babylon, Copiague, Deer Park, Lindenhurst, North Amityville, Babylon Village, North Babylon, West Babylon, West Islip, Wyandanch, Town of Brookhaven, Bellport, Blue Point, Brookhaven, Calverton, Centereach, Center Moriches, Coram, East Moriches, East Patchogue, Eastport, East Setauket, Farmingville, Holbrook, Holtsville, Lake Grove, Manorville, Mastic, Mastic Beach, Medford, Middle Island, Miller Place, Moriches, Mount Sinai, North Patchogue, Patchogue, Port Jefferson, Port Jefferson Station, Ridge, Rocky Point, Ronkonkoma, Selden, Shirley, Shoreham, Sound Beach, Stony Brook, Upton, Wading River, Yaphank, Town of East Hampton, Amagansett, East Hampton, Montauk, Sag Harbor, Wainscott, Town of Huntington, Centerport, Cold Spring Harbor, Commack, East Northport, Greenlawn, Huntington, Huntington Station, Lloyd Harbor, Melville, Northport, Town of Islip, Bayport, Bay Shore, Bohemia, Brentwood, Brightwaters, Central Islip, East Islip, Great River, Hauppauge, Holbrook, Holtsville, Islandia, Islip, Islip Terrace, Oakdale, Ocean Beach, Ronkonkoma, Sayville, West Islip, West Sayville, Town of Riverhead, Aquebogue, Calverton, Jamesport, Laurel, Manorville, Riverhead, South Jamesport, Wading River, Town of Shelter Island, Shelter Island, Shelter Island Heights, Town of Smithtown, Commack, Hauppauge, Kings Park, Nesconset, Saint James, Smithtown, Town of Southampton, Bridgehampton, Eastport, East Quogue, Hampton Bays, Quogue, Remsenburg, Sagaponack, Sag Harbor, Southampton, Speonk, Water Mill, Westhampton, Westhampton Beach, Town of Southold, Cutchogue, East Marion, Fishers Island, Greenport, Laurel, Mattituck, New Suffolk, Orient, Peconic, and Southold. Manhattan, NY, NYC: Uptown neighborhoods , Upper Manhattan, Marble Hill, Inwood, Fort George, Washington Heights, Hudson Heights, West Harlem, Hamilton Heights, Manhattanville, SoHa, Morningside Heights, Central Harlem, Harlem, Strivers’ Row, Astor Row, Sugar Hill, Mount Morris Historical District, Marcus Garvey Park, Little Senegal, Le Petit Senegal, Spanish Harlem, East Harlem, Silk Stocking District, Upper East Side, Lenox Hill, Carnegie Hill, Yorkville, Upper West Side, Bloomingdale District, Manhattan Valley, San Juan Hill, Lincoln Square, Midtown neighborhoods , Midtown, Columbus Circle, Sutton Place, Rockefeller Center, Diamond District, Theater District, Turtle Bay, Midtown East, Midtown, Tudor City, Little Brazil, Times Square, Hudson Yards, Midtown West, Clinton, Hell’s Kitchen, Garment District, Herald Square, Koreatown, Murray Hill, Tenderloin, Madison Square, Flower District, Brookdale, Hudson Yards, Kips Bay, Rose Hill, NoMad, Gas House district, Peter Cooper Village, Chelsea, Toy District, Photo District, Flatiron District, Gramercy Park, Stuyvesant Square, Union Square, Stuyvesant Town, Gas House, Meatpacking District, Waterside Plaza, Downtown neighborhoods , Downtown Manhattan, Little Germany, Loisaida, Alphabet City, East Village, Greenwich Village, NoHo, Bowery, West Village, Lower East Side, SoHo, Nolita (NoLIta), South Street Seaport, Little Italy, Chinatown, Financial District, Five Points, Cooperative Village, Two Bridges, Tribeca (TriBeCa), Civic Center, Radio Row, South Street Seaport Historical District, and Battery Park City. 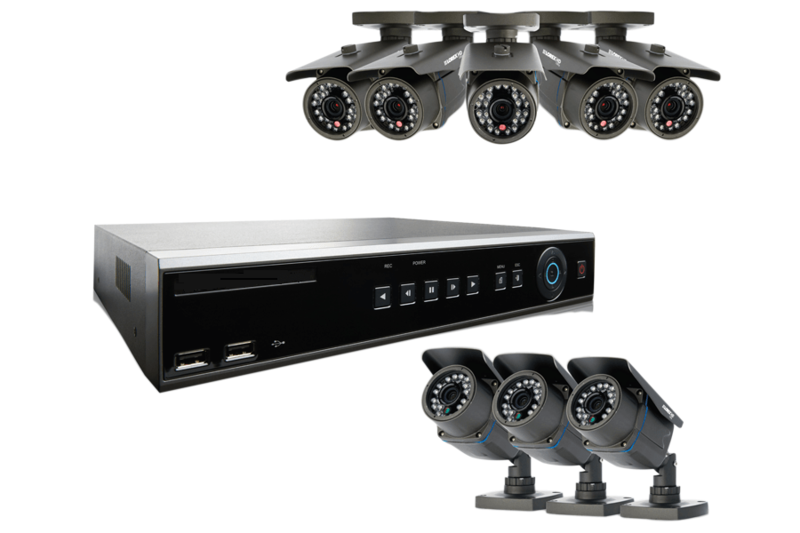 Alpha Computer Group provides our customers with many different types of DVR’s and security cameras also known as CCTV Cameras. 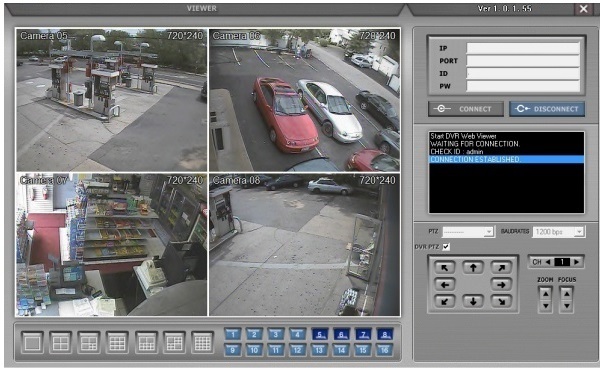 Customers can select the DVR and secuirty camera to fit their application and budget. The DVR can be PC-based or standalone, 4-channel, 8-channel, 16-channel, or 32-channel. The security (CCTV) cameras can be PTZ, BOX, Infrared (IR), Dome, and special application cameras. In addition, Alpha Computer Group has available, different kinds of cabling including coaxial cable, twisted pair wire, fiber optic, cat5, cat6 and modulator/demodulator for customer’s environments and applications. Installing security cameras reduces the risks of becoming victims to robberies tremendously since video surveillance cameras scare off probable criminals. Indoor or outdoor Security cameras can protect your family and valuables when you are out of the house or on vacation. Proper video surveillance camera systems will also give you better peace of mind. Have true Peace of Mind while you are out of your house. Whether you’re out shopping, visiting with friends or on vacation, with home security cameras from Total Security Systems, you’ll have a view of your home just fingertips away. Watching your kids has never been easier when you use residential surveillance cameras. Watch when they get home from school, make sure they’re safe playing in the yard and even keep track of what your babysitter is doing while you’re out on the town. We have many years of experience in the CCTV industry. Our quality installations are performed by highly trained technicians. Their goal is to surpass the expectations of our customers. Studies have shown that 90% of CCTV system failures are the result of cabling problems. Dynapost uses the most tested and time proven cabling techniques to assuren the highest performance reliablility for our customers. The components we use are from successful manufactures who have been in business for years with very high quality professional products. So far, we have experienced an almost 0% failure rate on our DVR’s and cameras. In order for all customers to afford the CCTV system to protect their businesses and homes, we quote the prices with a reasonable and limited profit. That is one of the many reasons that keeps us growing in the CCTV system installation business. We also carry famous brand name products for our customer special needs. With our strong background in computer and network experience, we can provide our customers with a complete CCTV system installation which includes the network/internet setup for your remote monitoring through intranet or internet. Many CCTV installers only install the camera system not the network/internet setup for their customers. Therefore, the customers have to hire someone else to setup the network/internet for them. Dynapost gives you an one-stop service and we install the system with internet setup without extra charge. Alpha Computer Group offers a wide variety of options for cameras and Analog, Network, or Digital Video Recorders (DVR). Having a wide variety of vendors we can put together a CCTV system that meets your needs and price range. Whether it’s a single camera for your home that you can view from the web or from your smart phone; to a system that has 100’s of cameras throughout your business, be assured you will always know what is happening anytime you need to. If you have purchased a name brand security camera system from a retailer such as BJs, CostCo, PC Richards or elsewhere, we can still help you install your security cameras, set up remote viewing and service your security cameras. That’s Alpha Computer Group! Alpha Computer Group offers Repair, Sales and Installation with affordable pricing for any budget. We are Professional Security Camera Consultants. 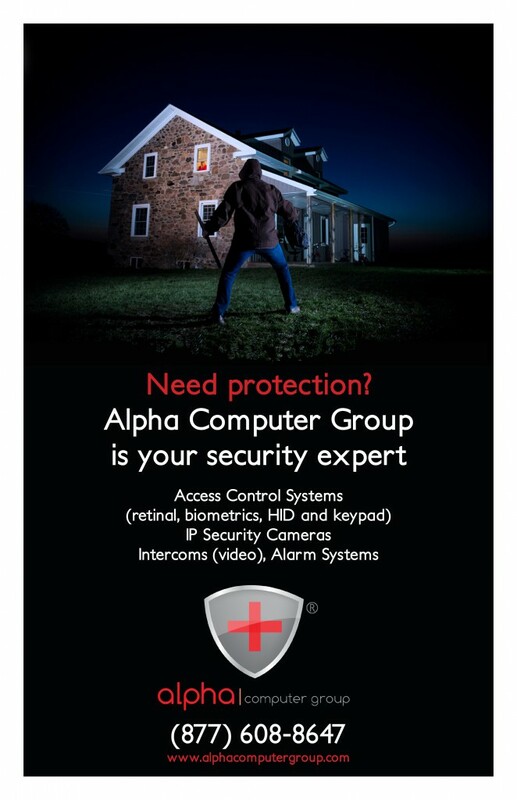 At Alpha Computer Group, we feature a wide spectrum of IP and CCTV security cameras, as well as pre-configured and custom-designed security systems to fit any budget.